We live and breathe venues at Hire Space, so when we get the opportunity to showcase a truly fantastic one we grab it with both hands. So, last month we headed over to the Crystal with some of our clients for networking and an opportunity to show-off how the venue can be transformed for events. A building known for its angular, hyper-modern design isn't one you'd perhaps associate with an afternoon of pasta-making, but that is the beauty of such a versatile space. So, one sunny afternoon we brought the fine delights of Italian cooking to the world's most sustainable venue. 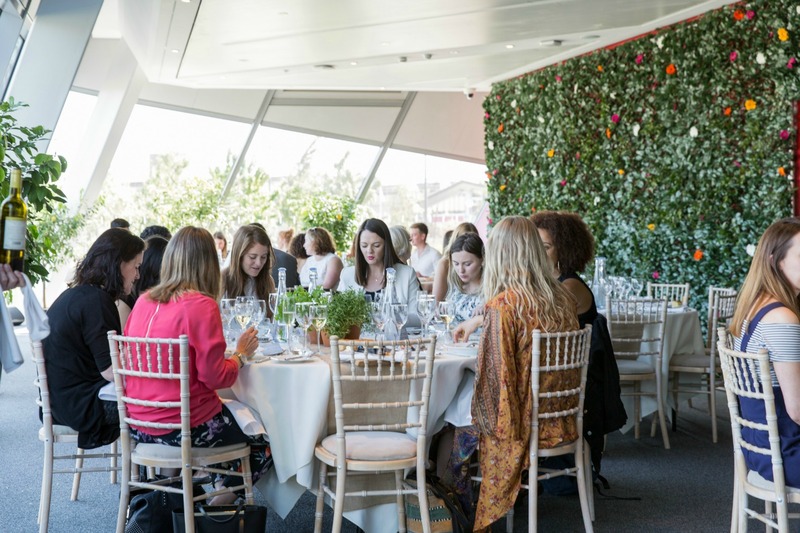 Guests enjoyed spectacular views on the ride over the Thames on the Emirates cable car, and were delighted to find more picturesque views of the Docklands area during the sparkling reception on the spacious outside terrace. 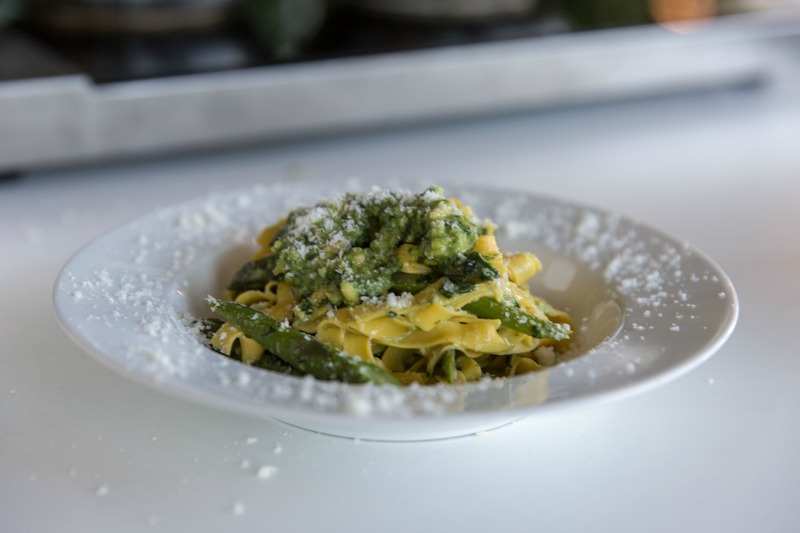 To tempt the appetite, Chef Theo Randall demonstrated how to make fresh pasta and a delicious pesto to go with it, followed by a three-course meal of green ravioli, lamb with Jerusalem artichokes and an amazing grappa-soaked raspberry pannacotta. 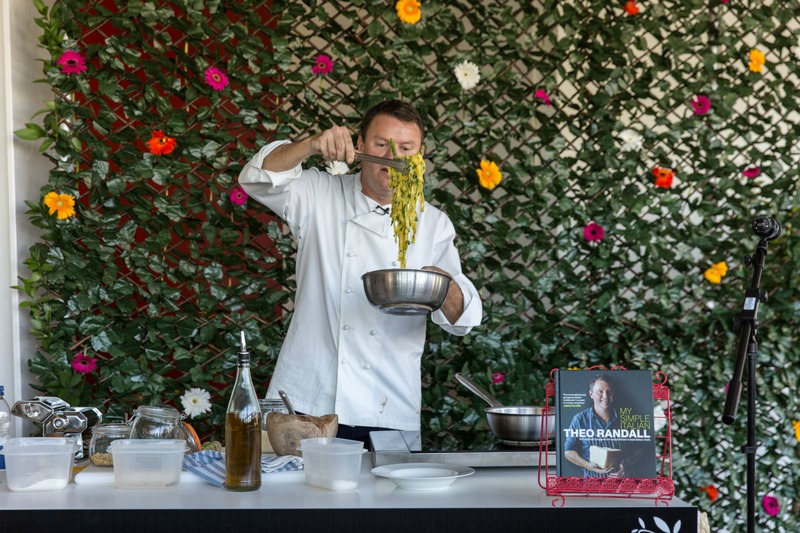 Theo Randall developed his love of Italian cuisine on trips with his parents to Northern Italy in the 70s and his passion was evident throughout the day. His down to earth style, perhaps unexpected from a chef of his calibre, was a perfect compliment to the unique urban venue spaces of the venue. 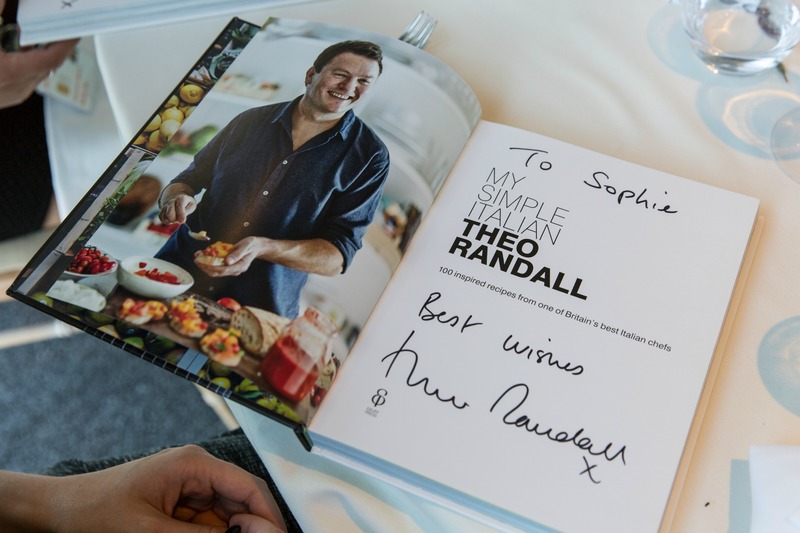 To finish off the day, guests were treated to a signed cookbook from Theo, followed by a tour of the venue and a relaxing afternoon enjoying the sunshine on the grass outside. After such a successful event, we spoke to Nina Green, sales manager at the Crystal, to get a bit of an insight into how the day worked for the venue. ‘An Afternoon with Theo Randall’ at the Crystal was a first-of-a-kind event for the venue. 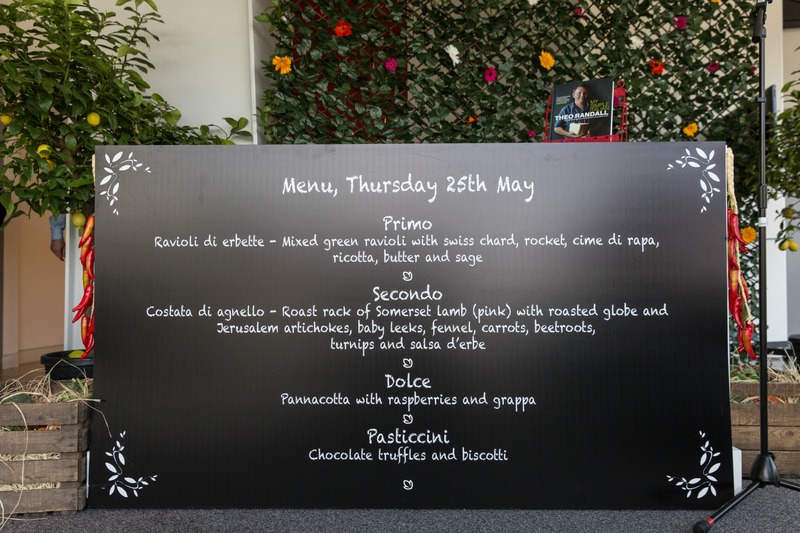 We invited sixty select clients to enjoy a lunch hosted in the company of a top Chef Theo Randall, including a sparkling reception, Italian themed three-course lunch with networking opportunities and a tour of the venue’s meeting facilities and Urban Sustainability exhibition. Tell us a bit about the thinking behind the event? 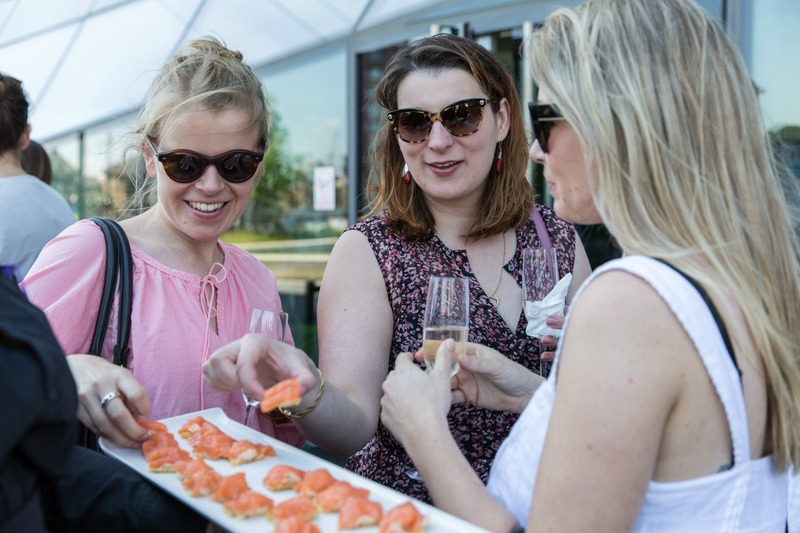 The event was intended to be an opportunity for Crystal clients both existing and new to enjoy an afternoon at the venue in the company of their industry peers and to enjoy the food and company of one of the UK’s best chefs. 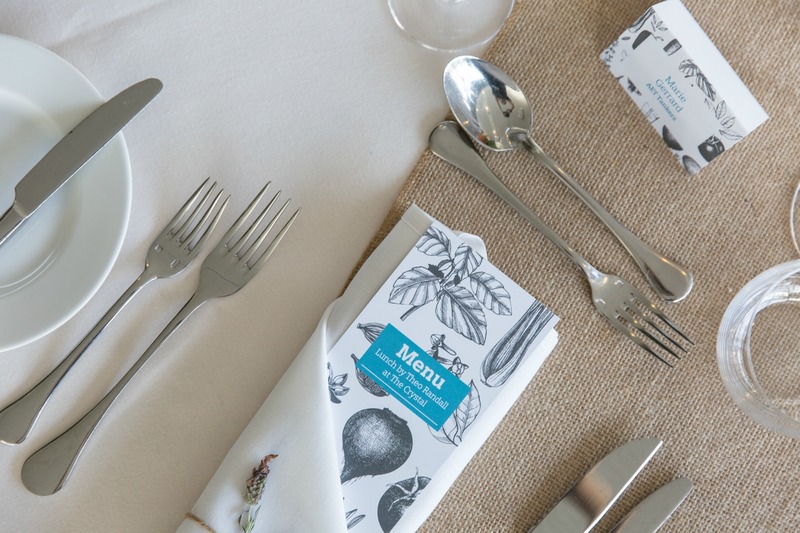 A big focus for the day was showcasing how the venue works for fine dining and how the restaurant space can be transformed for dining-style events. Why did you decide to partner with Hire Space for this? We enjoy a strong working relationship with Hire Space and through talking with our accounts manager we felt that an opportunity to collaborate on a Client Showcase Event would both be a good business development opportunity for the venue, and an enjoyable and informative event for the account managed clients at Hire Space to attend. It was wonderful. He is a very professional individual and obviously a talented chef. However, has none of the airs and graces that you may expect from a chef of his standing, so we really appreciated his down to earth style. He really gave his all on the day and we were so impressed to see him interact with the guests the way that he did. What was the most successful part of the event? We were pleased firstly with the attendance, as daytime events can be tricky with managing hectic event workloads. Also, it was fantastic to see the way the guests stayed to explore the Crystal building as a whole, they were really interested in seeing the spaces available to hire. What did you set out to do and did you achieve it? We really wanted to showcase the Crystal in an engaging way, and for guests to enjoy themselves in the Crystal's surroundings. Of course, we would like to see the guests go on to hire the venue for their forthcoming events, and we believe in time we will see this. It was also a great opportunity to strengthen our relationship with Hire Space. To book your next event at the Crystal click here.